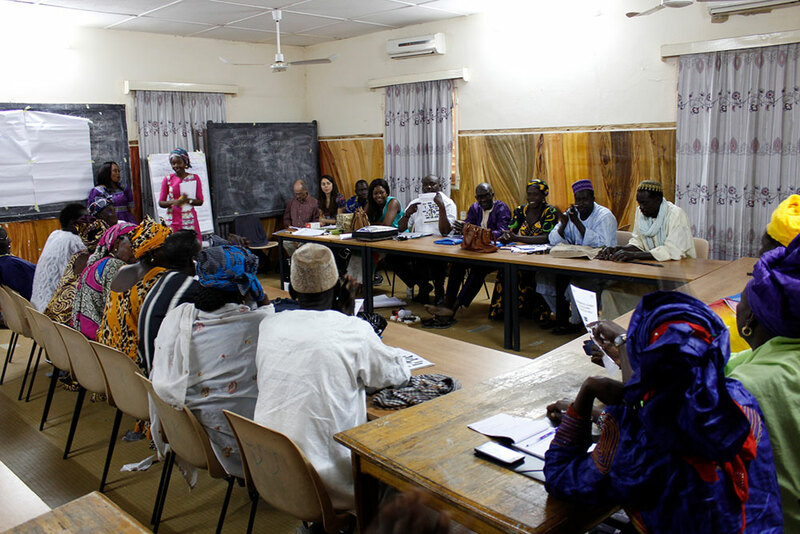 On January 18, 2017, SPRING/Senegal facilitated a one-day workshop on gender equality and women’s empowerment in the region of Kaolack. 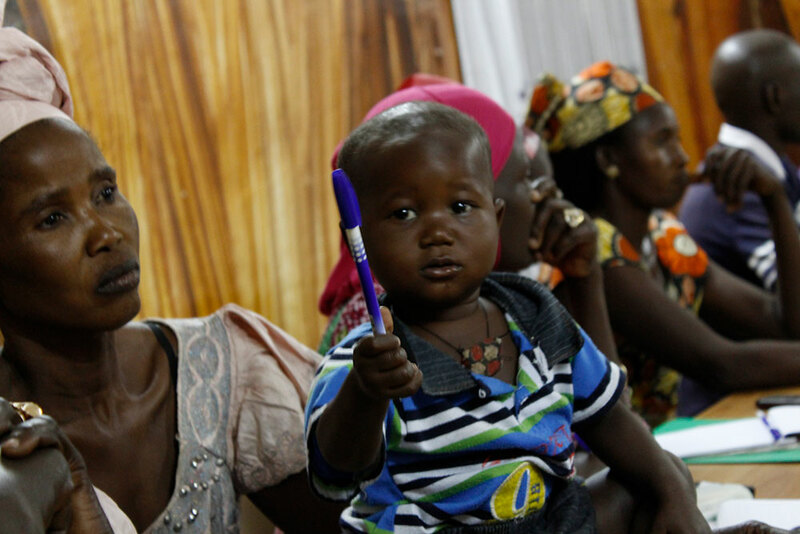 The workshop was organized as part of SPRING’s strategy to improve the nutritional status of pregnant and lactating women and children under the age of two. Women in Senegal often play several key roles in the household: they are responsible for cultivating vegetables and other crops, preparing food at home, keeping the household tidy, and caring for their children. Women’s workload is often so high that prioritizing their own health and ensuring that children are healthy and well-nourished can be difficult. In addition, although men make most of the household decisions concerning nutrition, they often lack knowledge about health and nutrition best practices. The workshop, therefore, placed a heavy focus on how partner organizations in agriculture and health can encourage the men in the communities they work with to help reduce women’s workload to positively impact family nutrition and raise men's awareness on certain nutrition best practices. The gender training was organized in response to a request by members of SPRING partner organizations who became interested in gender issues because gender sessions during previous SPRING-led workshops on nutrition-sensitive agriculture and maternal, infant, and young child nutrition. 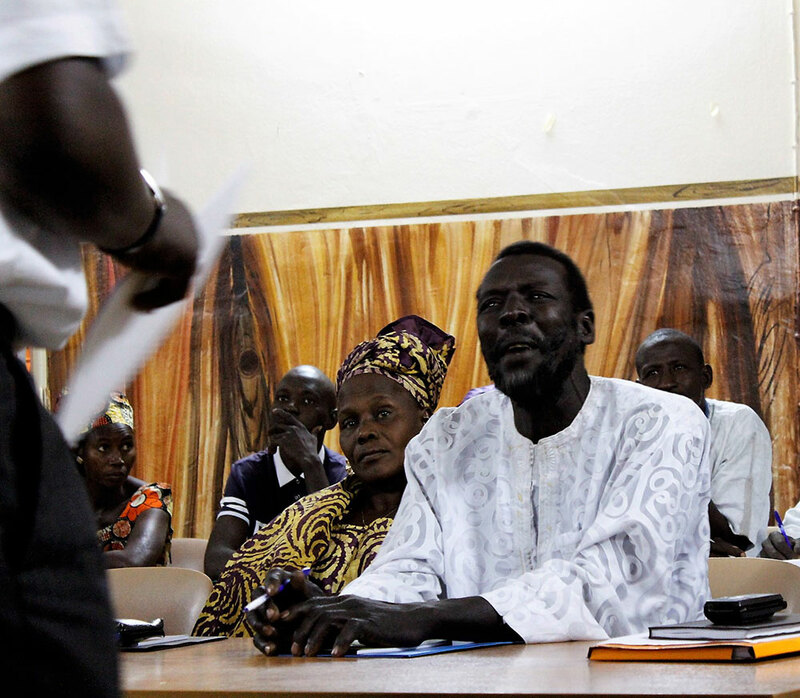 This gender training included 35 members of two local SPRING partner organizations that work in cereal value chains and vegetable and tree crop production, Association pour la Promotion de la Femme Sénégalaise (APROFES) and Association Sénégalaise pour le Bien Etre Familial (ASBEF). The participants attended the workshop with their spouses. 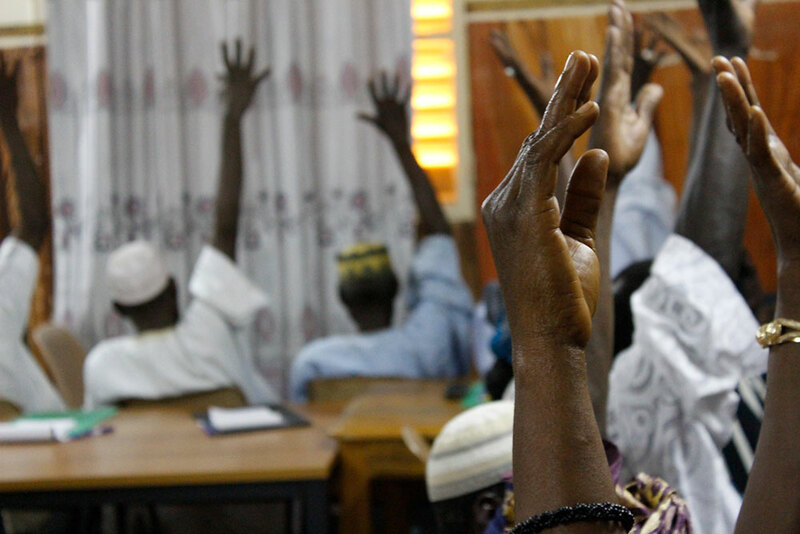 The sessions included discussions around perceived gender norms and values; reasons for supporting women in their work; specific agriculture, hygiene, and household behaviors that men can support; and opportunities and methods for encouraging men to participate more in domestic chores, household hygiene, and home gardening. Local male “champions”—early community-level adopters—shared their stories at the end of the training, with the support of their wives. The champions are male heads of household who had been identified by their communities for assisting their wives in the household and helping out in the gardens. Each husband shared his experience of the benefits of how reducing women’s workloads has improved their lives. One champion, Momath Diop, said, “I help my wife by fetching water, searching for firewood, and sometimes I even pick up the broom to sweep the house. My children are very attached to me because I help my wife take care of them. I think this is an attitude all men should have.” His wife stood by his side and shared her testimony to confirm how his assistance around the household was appreciated. 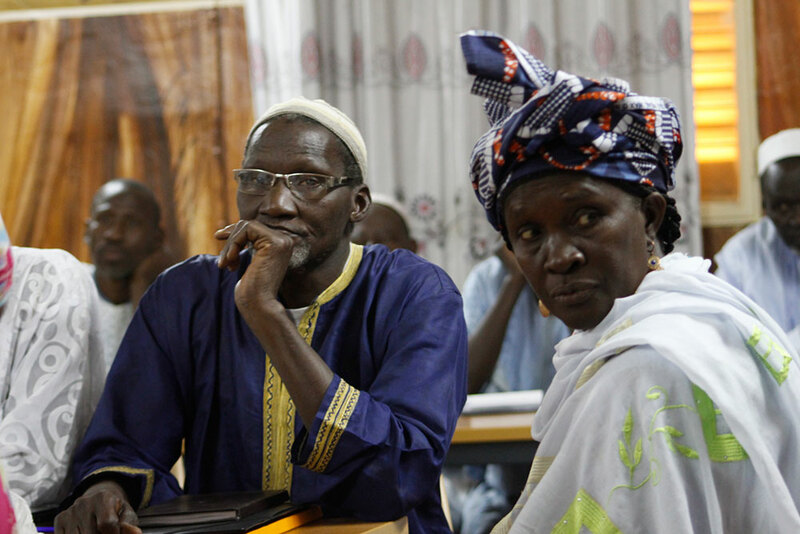 This workshop was one of six that SRING organized in four departments (Nioro, Foundiougne, Kaolack and Koungheul) across three regions in Senegal in January 2017. SPRING will follow up on the progress of the trained participants, as well as the community champions, and continues to promote uptake of good gender behaviors through additional workshops, home visits, and by integrating good practices in social mobilization activities, community radio, and community video products. 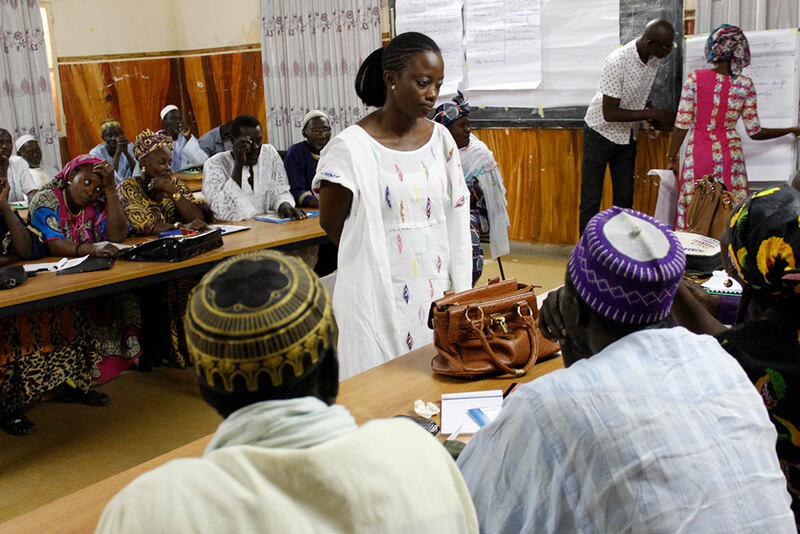 Top image: SPRING/Senegal Gender Advisor Daba Ndione Beye interacts with training participants.